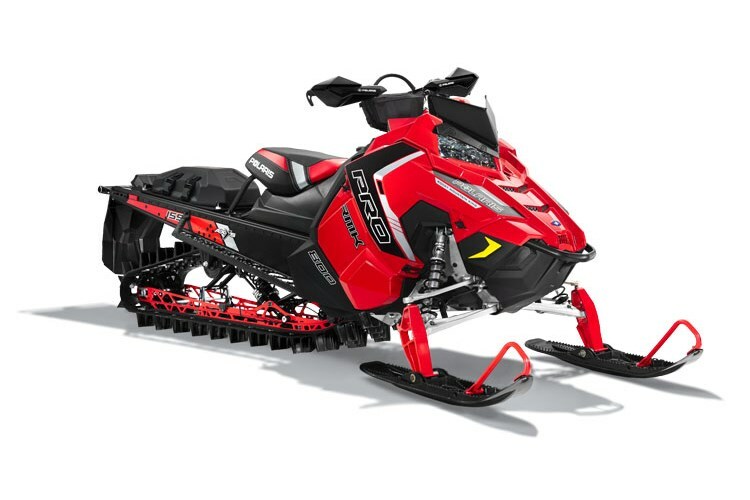 2016 Polaris 800 PRO-RMK® 155 3"
Proven 800 Cleanfire® H.O. Engine Developed in conjunction with the AXYS platform, the proven 800 Cleanfire® H.O. Engine delivers +10% increase in power-to-weight ratio and quicker throttle response to generate instantaneous lift. The integrated mounting position optimizes the balance of the chassis. Featuring: - Grooved piston for improved durability and engine life - 3-stage electronically-controlled exhaust valves for increased power and responsiveness - Electronic oil pump for reduced throttle effort and improved durability Thermostat with bypass warms up to operating temperature 40% faster and improves durability - High-efficiency intake and exhaust for improved breathability, which increases power - Exclusive VForce Reeds for more power and improved reed life Lightweight crankshaft that's more durable, 2.5 lbs lighter and has 25% less inertia This is the same 800 H.O. 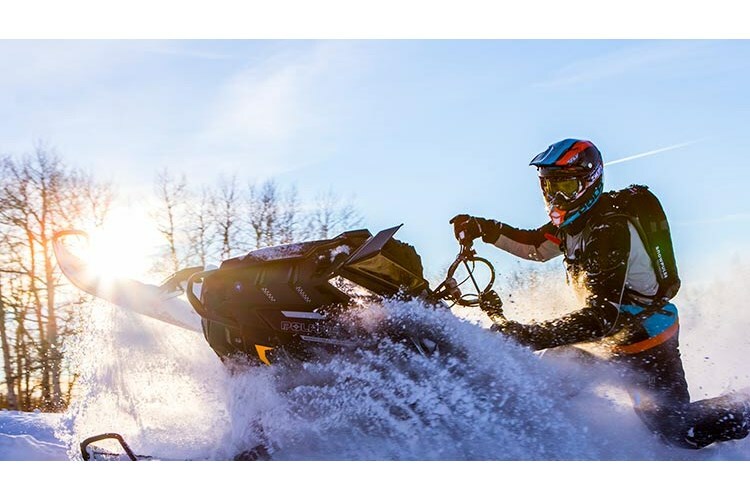 engine released with great success in the 2015 Polaris RUSH and Switchback models, and has been proven through 100,000+ field testing miles.